Ankle sprains cause stretching of ligaments around the ankle which can result in minor to complete tears. The most common sprain occurs when the ankle rolls outward with the foot turned inward. 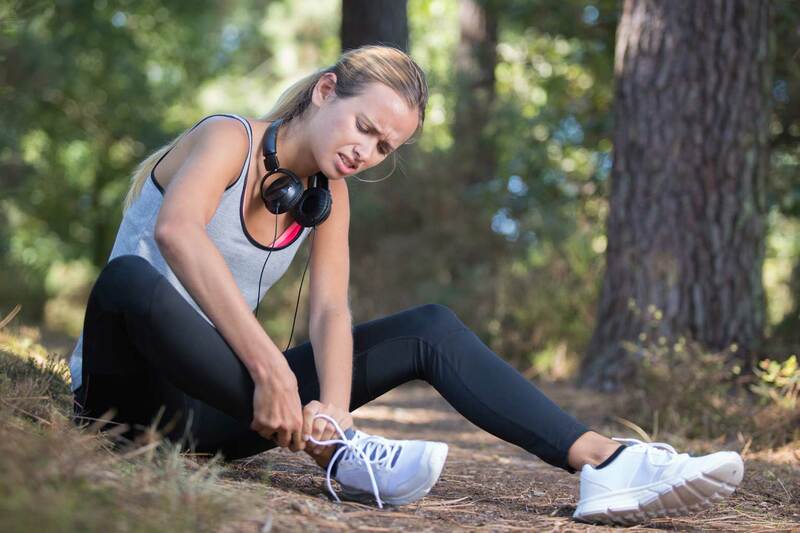 Causes for ankle sprains may be from twisting of the foot on uneven surfaces, falls or trauma from sports activities. Grade I: Minor tear or stretching of the ligament(s) with mild pain and swelling around the ankle. There should be minimal or no pain with weight-bearing activities (e.g. walking). Grade 2: Partial tear of the ligament(s) with moderate pain, bruising and swelling. Walking is painful and ankle may feel unstable. Grade 3: Complete tear of the ligament(s) with severe swelling, bruising and tenderness around the ankle. It is usually too painful to walk and the ankle feels unstable. Severe tears may be associated with fractures or high ankle sprains. What is the treatment for ankle sprains? Ankle sprains usually heal without surgical intervention. For severe tears, immobilisation with moonboot and crutches is recommended for initial management. Further investigations such as X-ray, ultrasound or MRI may be required for moderate to severe tears. General initial treatment for ankle sprains in the first 48-72 hours is the RICE protocol (rest, ice, compression and elevation). R – Rest from any activity that aggravates the pain to promote tissue healing. I – Wrap a towel around ice pack, a bag of crushed ice cubes or frozen peas. Ice the affected area for 15-20 minutes every two hours. There should be no extreme pain. C – Apply firm pressure with bandage or brace. Ensure that there is no discolouration or increase in swelling which indicates restricted blood flow. E – Elevate the affected foot above the level of your heart. Initial goal is to reduce pain, swelling and restore full range-of-motion. Your physiotherapist may tape your ankle to protect it from twisting or rolling. Next phase of rehabilitation will focus on improving strength, flexibility, balance and then gradual return to activities. According to a systematic review, ligament healing and mechanical stability of ankle occurs from 6 weeks to 3 months after injury, particularly Grade III ankle sprains. However, you may still experience mechanical laxity or subjective ankle instability up to one year depending on the severity of injury. Need Help With An Ankle Sprain?